Lies and deception is never a good way to start a relationship. It is a damn good way to start a romance novel though. Add in chemistry and a whole lot of sexiness and you have a book by Maggie Brown you just won’t want to put down. Eleanor Godwin is a mega-star in Hollywood and beloved by many. As a household name, Eleanor has very little privacy and the small amounts she does have she guards fiercely. After wrapping up a punishing role, Eleanor is exhausted and ill from the toll she reeked on her body to get into character. She decides to return to her birth country of Australia for some much needed rest out of the public’s eye. Our other main character is a journalist on the political beat. Sophie Marsh is forced by her editor to take an undercover role, as a housekeeper/cook to infiltrate the life of Eleanor Godwin. Sophie has no interest in Hollywood or reporting on entertainment news. Her sexist boss forces her to take the role or hit the unemployment line. The young journalist reluctantly agrees knowing that this is so wrong on so many levels and decides upon arrival at the private island she will not do harm to Eleanor Godwin’s reputation no matter what. This adorable and sweet relationship blossoms from a reluctant friendship to an all-out burning love affair. The two main characters are delightful and you love them for their kindness and strength as well as the many missteps they make on their journey to happily ever after. You root for their success all the way through. A fantastic read! Let me just say this book is quite well done. 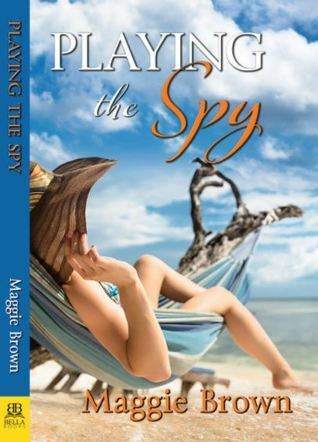 Maggie Brown writes a story that just sweeps you away. You literally are thrown into Australia and through Brown’s words you are chased by the crocodiles, you feel the oppressive humidity, you are right there with the characters as they face countless perilous situations. Claire Walker just happens to show up in her tiny seaside town the same day as the dead man is found. Claire, a behavioral scientist and special agent for a hush-hush government agency that needs Viv’s help to locate a possible ISIS training ground. Talk about throwing your relaxing haven into the crazy zone. So the story takes off as Vivian reluctantly helping Claire, she doesn’t want to, nope not at all, but Claire appeals to her in a way she can’t deny. You know what it is, yes, attraction. Claire is gorgeous, smart and takes charge. She’s everything Vivian has always wanted in a partner but never had. She will help Claire find the terrorist cell because no matter what she puts her country before her own happiness. What she doesn’t know is that Miss Walker is equally interested in her. Newsflash, Viv is hot and doesn’t have any clue! So the story really takes off as these two ladies trek through rugged terrain looking for signs of a terror training camp. What they find is not quite a bunch of jihadists but that doesn’t mean their lives are not in serious danger. This two spar throughout the book, ignoring their attraction for numerous reasons. Claire and Vic both respect each other, but miscommunication and assumptions (Viv thinks Claire is straight) keep acting as continuous roadblocks to the path of happy ever after. A little angsty but not overwhelmingly so. All in this book is pretty great. I definitely recommend it! I must say I love when an author makes both of leading ladies strong characters, who can hold their own. A serial killer is on the loose. He is targeting young blond women. Yikes! 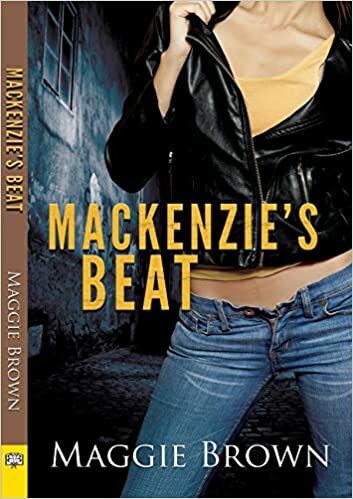 Mackenzie’s Beat by Maggie Brown is a fast paced crime story with a side of romance. Mackenzie “Mac” Griffith is a war correspondent. She has spent the last ten years traveling the world seeing and reporting on unspeakable horrors. Mac is known for speaking the truth and never letting government’s get away with anything by looking the other way. Currently she has pissed off a government official in Afghanistan, and the police are under orders to bring her back to Kabul over an article she wrote. Another problem for Mac is as she arrived in Brisbane to reconnect with her twin sister, Dana. The only problem is Dana is missing and no one can seem to locate her. Detective Rachel Anderson is searching for clues. Why do blond prostitutes keep turning up dead? This hard-nosed cop operates strictly by the book, she is the job. She has no time for games, and she is super annoyed when Mac keeps showing up is the most peculiar locations, even the morgue! This book for the first 30% was fantastic! It was interesting in regards to Mac and her past, throw in a missing persons and a no-nonsense cop we had the makings of a great story. Literally the works were flying off the page and I couldn’t get enough. Then it jumped the shark. Reality turned it to pure unbelievable chaos. The story became so unrealistic! I wanted to yell COME ON! One big problem is how quickly Rachel and Mac fall into love and declare it. You go from two women who have dedicated their lives to their work to gooey I need you, why didn’t you call me on my cell phone mush balls. No, I just didn’t buy it! Plus we have a serial killer on the loose and your sister is missing (she’s blond PS)! Now I get that this is a romance but seriously is has to be somewhat of authentic human reactions. Their reactions to love did not fit how the characters were originally presented. Overall a nice story and I enjoyed it. I like how Maggie Brown writes and I have been pleased with her book thus far. I don’t think you will be disappointed with this one but you may have to let your imagination fly a little bit. Let me just say this book is excellent. 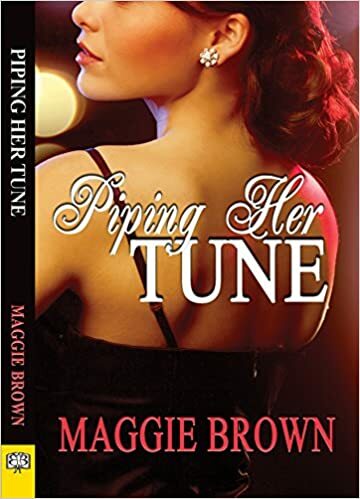 Maggie Brown is an exceptional writer that built characters that were intelligent and sassy, and not afraid to show it. This book is an absolute gem! Abby Benton is a struggling artist. Her paintings are excellent, but she does not have enough steady work to keep the rent paid and the pantry stocked. Her heart and soul are dependent upon her art, but unfortunately it cannot pay her mounting bills. After entering a portrait contest, she writes to uber-successful business magnet Victoria Myers to be her muse. Ms. Myers accepts Abby’s request to paint her and this is where the story begins. Victoria is basically a first-rate a$$hole the entire time Abby is trying to paint her likeness. She’s either being verbally dismissive or she’s on the phone. Our spitfire artist doesn’t let her get away with it, she tears the businesswoman a new one, and they take parting shots at each other as Victoria goes on her way. These confrontations play out on Abby’s canvas, and let’s just say, Victoria Myers ends up looking like the Lucifer himself, but the painting is really good and becomes quite popular. Chapter One! So the story really takes flight with both of these ladies being royally pissed off at each other. TENSION!!! Guess what else? Both of these women are gorgeous, smart, witty, and can throw out a zinger with the best of them. Life continues to throw these two together, and a set of unusual circumstances force Victoria to hire Abby to travel with her on a six month traveling business trip. Talk about throwing two lions in a den together. These two verbally spar throughout the book. They both respect each other, but miscommunication and a variety of secondary characters make troubles continue to arise. The mounting tension is palatable and you can feel each of our protagonists about to burst. I loved that the author kept these two ladies apart romantically well into the book. The pressure of hiding their attraction to each other was what made the book stellar (I am a sucker for angst, when it’s done right). I also liked that fact that both Victoria and Abby were resilient, clever women with backbones and strong opinions. There is no weakling here, one is rich and one is poor but neither put much stock into it. All in all this book is great. I highly recommend it. You will not be wasting your time on this one, but you may need the biggest Americano you can get your hands on the next morning. This book made me read well into the night and if Monday mornings aren’t hard enough already, self-induced sleep deprivation doesn’t make it any easier.